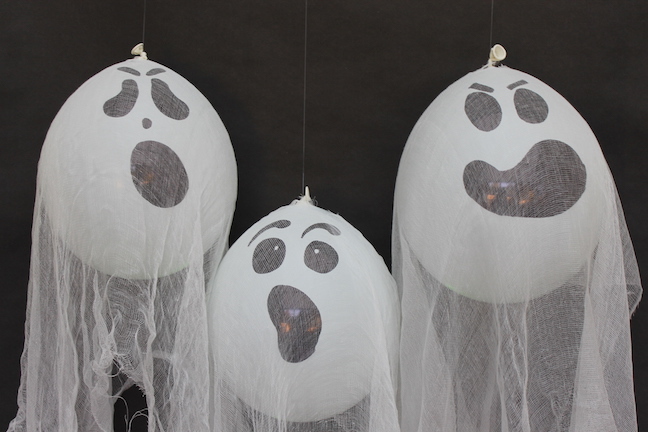 I love making spooky Halloween decorations for my house, but honestly, sometimes I just don’t have the time or energy. 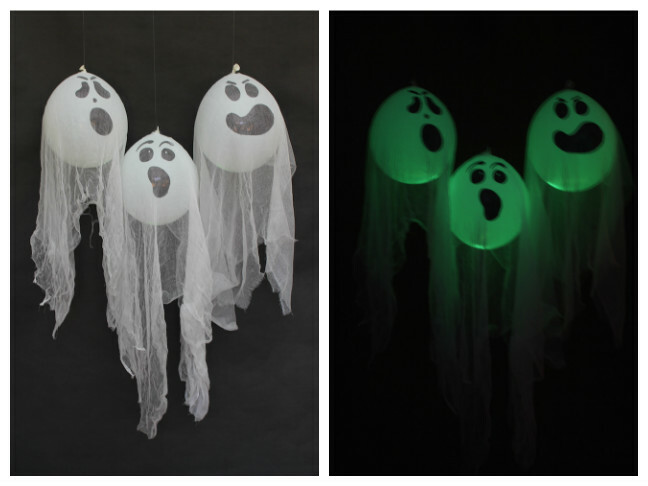 This year, however, I found a solution—these glow-in-the-dark balloon ghosts. 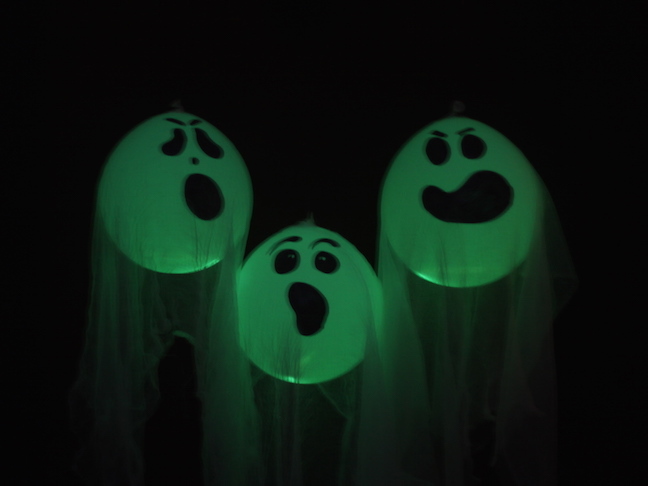 These Halloween ghosts literally take ten minutes or less to make all three, which is awesome because it’ll give me more time to focus on costumes, which is my favorite thing about Halloween anyway. 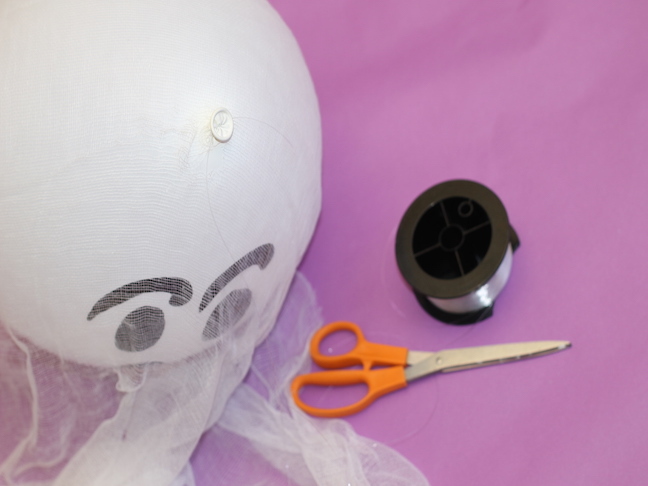 For this project, you’ll want to make it the day of Halloween or your party, about an hour or two before the trick-or-treaters or your guests arrive. The glow sticks should last four to six hours at least. 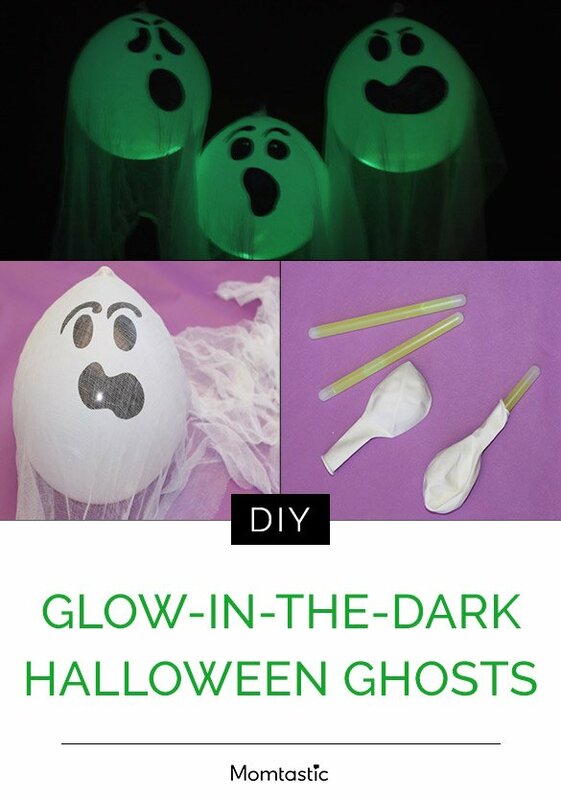 Step 1: Pop open a glow stick and stick it into a balloon. 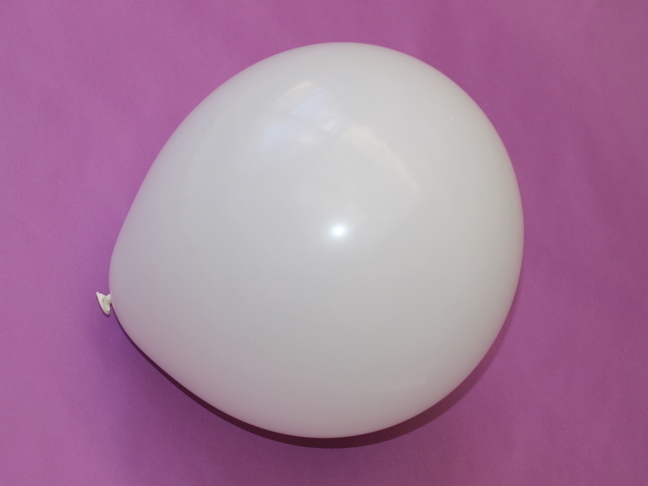 Step 2: Blow up the balloon with the glow stick inside. 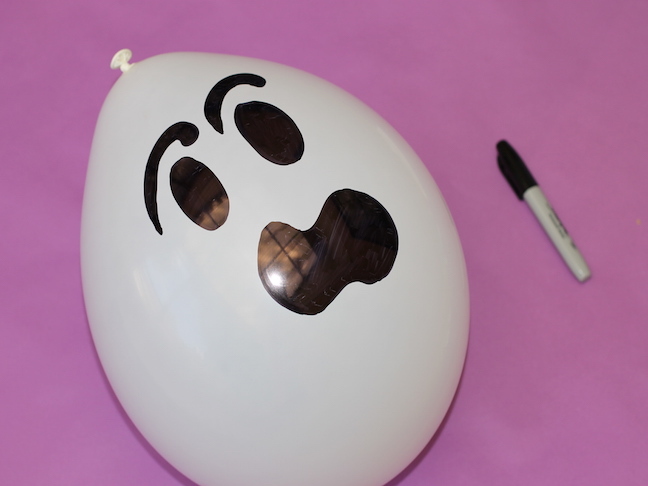 Step 3: Draw a spooky ghost face on the balloon using your marker. 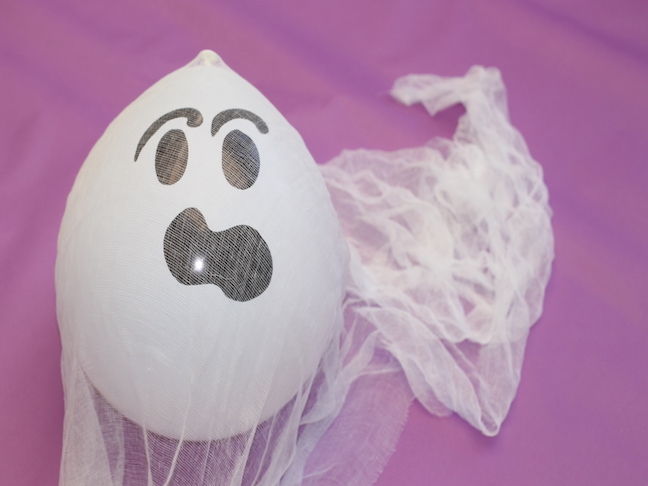 Make sure you draw the face so the balloon tie is on top of the ghost head. 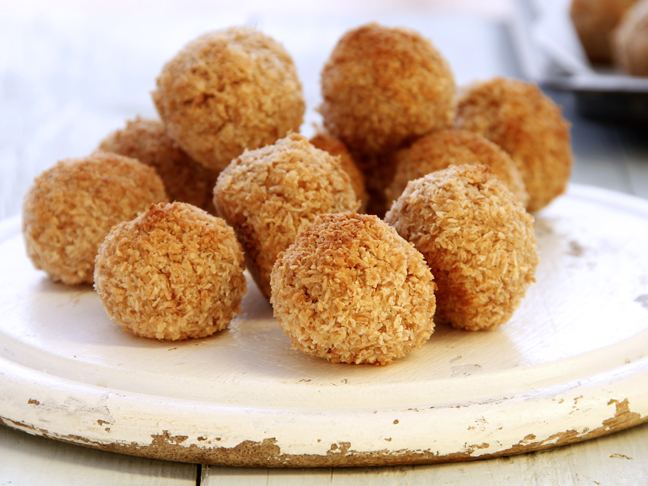 Step 4: Cover the balloon with enough cheesecloth so it hangs from the balloon. 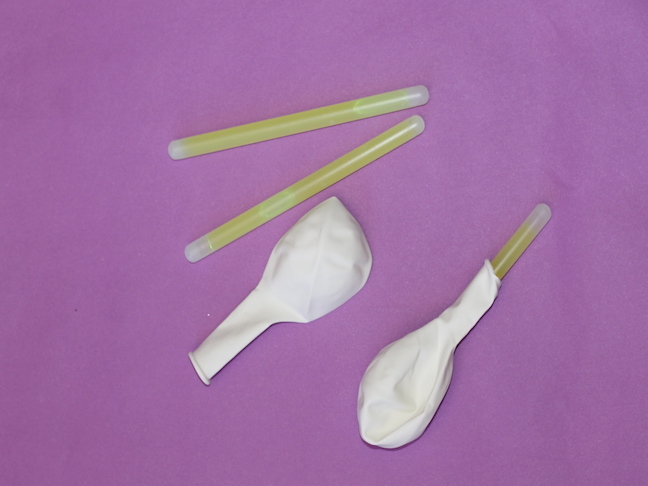 I used about four feet of cheesecloth per balloon. Cut a small hole in the cheesecloth where the tie is. 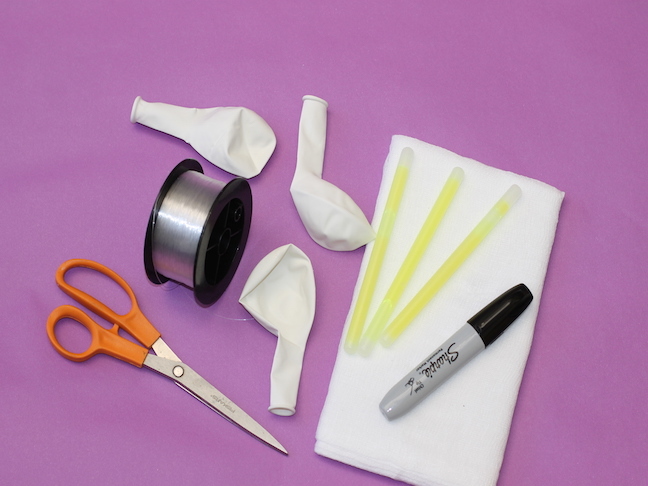 Step 5: Tie fishing line around the balloon tie and hang!